Are Chelsea passing themselves into contention? Before the Premier League season kicked off there was no talk of Chelsea challenging for the title following their disappointing fifth place finish last season. They had entered as defending champions and much more was expected of them in comparison to this season. Has this played into their hands, allowing them to go under the radar? Maurizio Sarri has taken over and has almost instantly adopted the same tactics which took Napoli to their success in recent years. This enabled them to challenge in major European competitions again and even push Juventus to the title until the end of the season. His first action in London was to sign Jorginho from his former club Napoli for a fee of around £57 million. This was a tip in itself to the importance he is to the philosophy of Sarri’s attacking game. The question now arises - are Chelsea passing themselves into contention? The answer to this is yes. After just seven games into the season there are four Chelsea players sitting in the top six of the league for the most passes made. As expected it is Jorginho who sits clear at the top with 762 passes as he continues to control each game. It is then the three Chelsea defenders, Antonio Rudiger, David Luiz and Cesar Azpilicueta in third, fifth and six respectively having just over 1600 passes between them, which shows that Chelsea are playing patiently and attacking from the back line, which is enabling their attacking players to create more space. 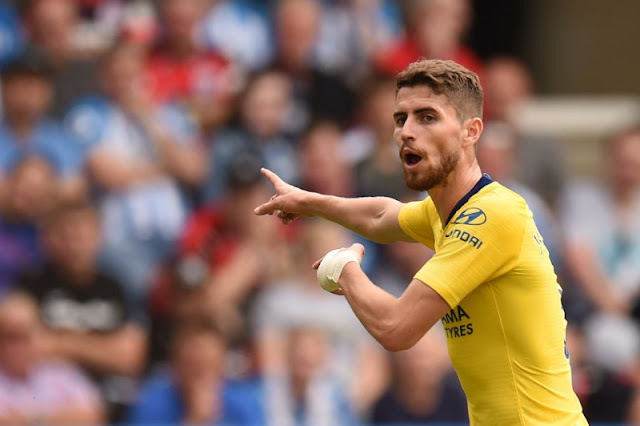 You only have to look at Jorginho’s 158 completed passes in just one game against Newcastle with 86 coming in the first half out of a possible 92. This meant an accuracy record of 93.5%, putting him 19 passes clear of the entire Newcastle side. A quite jaw-dropping statistic. This style of play has made a big impact on Chelsea and has been the primary reason that they sit at the top of the table not only challenging for the top four but the title itself. Looking at the football bets today, there are many punters supporting them as an outsider for title success, with Betfair making them just 10/1 behind Manchester City and Liverpool who are 4/6 and 2/1 respectively. With Jorginho slotting into the Chelsea side it has meant a different role for double Premier League winner, N’Golo Kante. He has played a vital role in the success of both Leicester and now Chelsea with his endless stamina presence in the midfield. This was again shown in France’s recent victory at the 2018 World Cup in Russia. He is now being pushed into more attacking positions and could be set to provide considerably more goals and assists to the side in the coming seasons. This role will have come as a shock to many, considering the impact Kante has made at both club and national level previously, but this just shows the esteem Jorginho is held in by Sarri. Another player who is flourishing under the new system in the English capital is Eden Hazard. He has always been, without question, one of the world’s best but it is now he seems to be finally delivering with more goals. He is coming off the back of a stunning World Cup, in which he captained the Belgium side to their highest finish in history taking third. He has continued this run of form in which he sits at the top of the goal scorer charts with six. If he can continue this form then could he help Chelsea to another title success this season?